The 25th Annual Mascot Games, hosted by New Hope For Kids, returns to Amway Center for two exciting shows: Friday, June 22 and Saturday, June 23. The Friday game will offer a chance for groups and schools to get involved in the fun. For more information, please visit mascotgames.org. 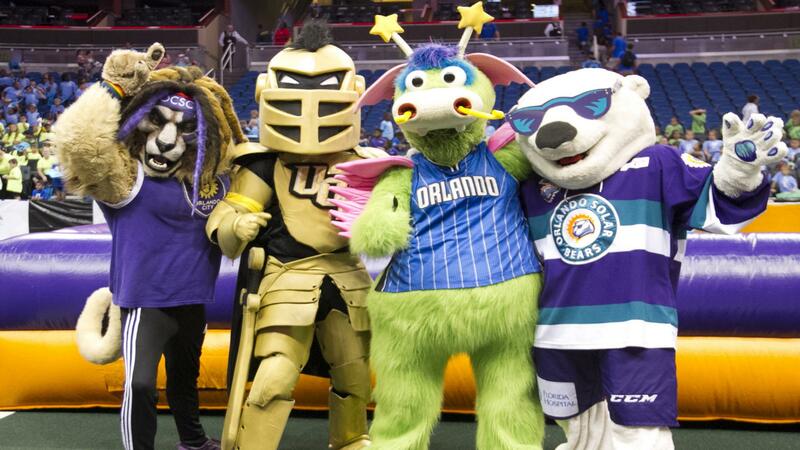 Twenty-four of the best and most popular mascots from North America will join Orlando Magic’s STUFF, the event’s host mascot and recently honored as one of the best mascots in sports, for the annual competition. Mascots from MLB, NFL, MLS, NBA, NHL, and NCAA will be divided into four teams as they compete against each other in wild and zany games to determine the true champions of the Mascot world. All proceeds from the Mascot Games Presented by Wawa benefit New Hope for Kids, which provides support to children and families grieving the death of a loved one, and grants wishes to children with life-threatening illnesses in Central Florida.